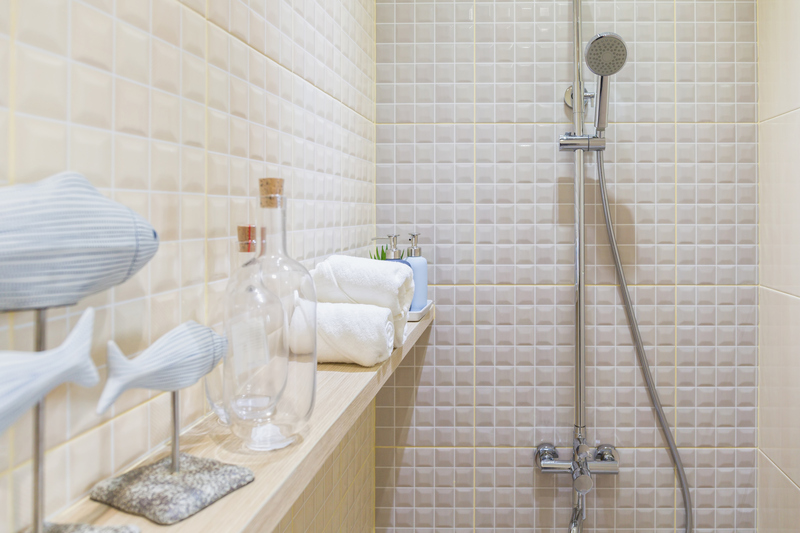 Adding a few small design elements can make the biggest impact when it comes to your bathroom. Whether it’s your powder room or your apartment bathroom that’s cramping your style, here are a few tips for making any small bathroom seem bigger — no wall demolition required. Bring in as much light as possible! Lighting can make all the difference when trying to make a space feel bigger. 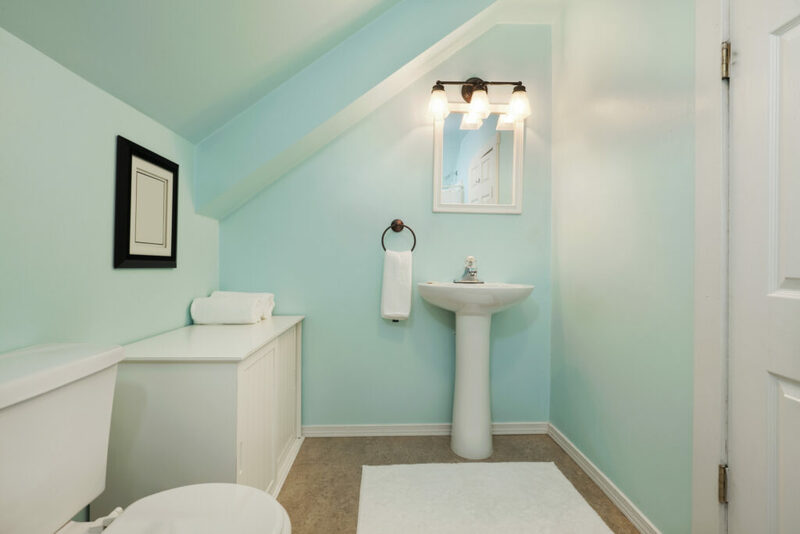 Paint the walls and ceiling the same light color to make the bathroom feel double its size. Try adding in wall mounted lighting fixtures. 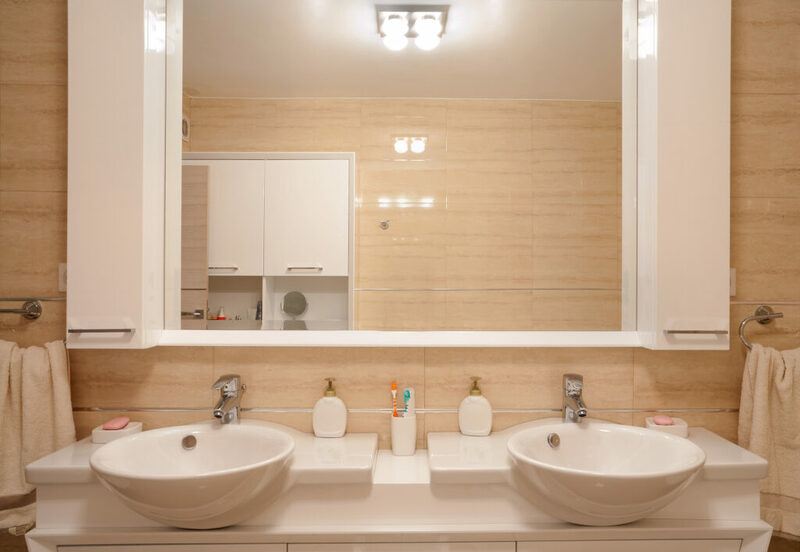 Installing larger- and more mirrors than you would typically in a bathroom will help reflect more light and create an open feeling. Nothing makes a space feel smaller than clutter. Keep only the essentials in the bathroom, keeping it to a minimum. Having a bathmat on the floor at all times can make your bathroom feel smaller. Put your bathmats away when you’re not using them to expose more of the flooring, making the space appear larger. 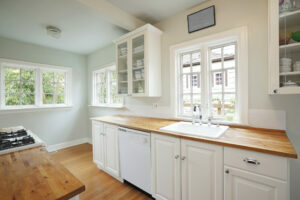 Even if your walls and ceiling are light, a dark floor can make a space feel less open. Keep the flooring light to create a space with a bright and open flow.